The Philippine Heritage Institute International, a private foundation, will host a Youth Congress at the Art Theater Long Beach, Saturday, August 4, from 9:00 am to 3:00 pm. After initial introductions and presentations by members of the Philippine Scouts Heritage Society, the Institute will show Forgotten Soldiers from 10:00 am to 11:30 am. Producer/Director Donald Plata will introduce the movie and the screening is open to the public. After the film, Youth Congress participants will have lunch, additional presentations and a reception. Attendees are invited to adjourn to the US-Philippines Expo at the Pomona Fairgrounds. Forgotten Soldiers: 10:00 am, Saturday, Aug 4, Art Theater Long Beach, 2025 East Fourth St., Long Beach, California--the film screening is open to the public. At the beginning of World War II General Douglas MacArthur's 80,000 Filipino and American troops on Bataan faced one of the worst atrocities in military history--the Bataan Death March. In Forgotten Soldiers, narrator Lou Diamond Phillips and ten Philippine Scout survivors describe the battles of Bataan and Corregidor, the Death March, and eventual liberation of the Philippines, over photographs, reenactments and actual footage of the events. The 12,000 Filipino and American soldiers of the Philippine Scouts were the backbone of the doomed Allied forces but few Americans today are even aware of this unique segment of the United States Army. They are America's FORGOTTEN SOLDIERS. The Philippine Heritage Institute Youth Congress aims to develop talents and skills for leadership, and nurtures the all-important spirit of volunteerism. The Youth Congress teaches that service to humanity in need is a civic responsibility and is part and parcel of a purposeful life. The Institute is screening Forgotten Soldiers to increase awareness among participants of the proud heritage of accomplishment and sacrifice made by the Philippine Scouts during World War II. The premiere of the"ForgottenSoldiers", a new documentary by Donald Plata about the valor, professionalism, and sacrifices of the Philippine Scouts during World War II. From Chris Schaeffer... upcoming screenings. 8/17, Tacoma, Washington, at the American Lake Division of the Veterans Administration, 6:00 pm, sponsored by the Philippine Scouts Heritage Society. 8/20, Washington, D.C. A private showing for America's Wounded Warriors, at the Walter Reed National Military Medical Center, at 6:30 pm in the Warriors' Cafe. 8/24, Houston Texas, at the Rice Universaity Media Center, concluded by a medals ceremony for Bataan veteran Francisco Panis. Screening at Rice University in Houston, Texas. City of Los Angeles recognizes Donald Plata for Forgotten Soldiers. October 12, 2012. The City of Los Angeles awarded Film Producer/Director Donald A. Plata the 2012 Filipino-American History Achievement Award at Los Angeles City Hall for his production of the documentary film, Forgotten Soldiers. Don was also awarded Certificates of Recognition from the City and the California Senate, and a Commendation from the County of Los Angeles. Don Plata began the Forgotten Soldiers project six years ago, recording video memoirs of former members of the Philippine Scouts. Initially he intended these films to be used by their families and by the Philippine Scouts Heritage Society to preserve stories of the men’s experiences during the battles of Bataan and Corregidor, and as Prisoners of War during World War II. As a young man whose uncle served as a Philippine Scout during the Battle of Bataan, Don Plata believed that the Filipino and American soldiers who fought together in those early months of the war deserved a measure of recognition which has long eluded them. 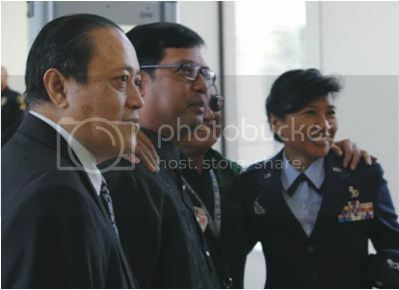 He resolved to make a documentary movie that would tell the story of the early months of World War II, and specifically the heroic achievements of the Philippine Scouts. Serving under General Douglas MacArthur, the Philippine Scouts were a special U.S. Army unit composed of Filipino soldiers and American officers. They, along with the Philippine Army, held the Imperial Japanese Army at bay for five months at the beginning of World War II. They were surrounded and starved out, then subjected to one of the worst atrocities of modern warfare--the Bataan Death March. In the film, ten Scout survivors tell the story of Bataan, the Death March, and life under Japanese occupation. Over a five year period Don filmed scenes and battle reenactments in the Philippines, Hong Kong, California and Virginia, did aerial photography of battle sites, and perused hundreds of hours of historic footage at the U.S. National Archives. 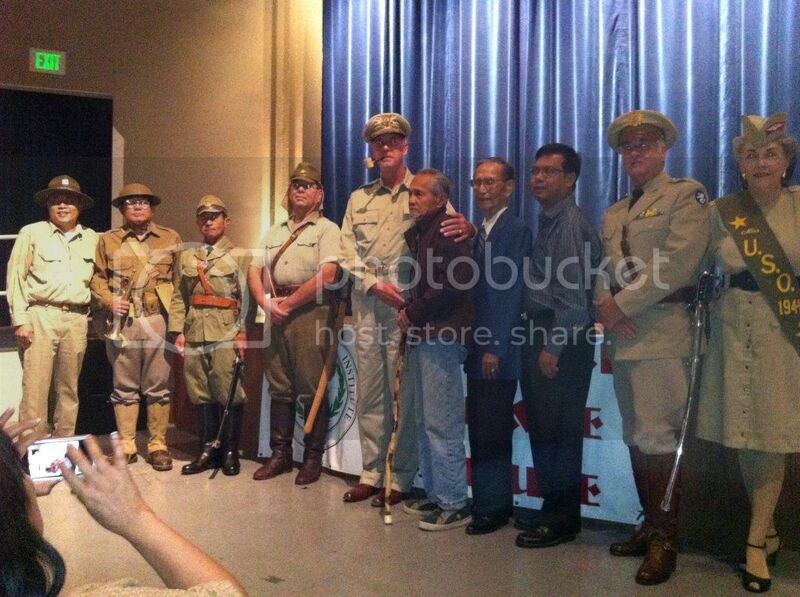 He enlisted the aid of Tony Award and Golden Globe-nominated actor Lou Diamond Phillips to do the narration, historian Chris Schaefer to write the script, and teams of Philippine Scout reenactors to re-create scenes which were not available in archival movie footage. In Forgotten Soldiers he has captured both the agonies the Scouts endured during their years in battle and in captivity, and their heroic achievements in this almost unknown segment of the United States Army. 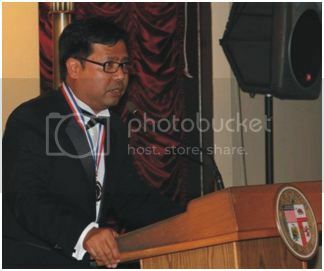 Friday evening his efforts were recognized by the City of Los Angeles and the Los Angeles Filipino Association of City Employees at a gala banquet and awards ceremony, where the presentations were made by Deputy Consul-General of the Philippines Daniel Espiritu. The annual event is sponsored by the Los Angeles Filipino Association of City Employees, a thirty year-old organization which this year celebrates 425 years of Filipino-American history, dating back to the Spanish expedition that brought the first Filipinos to California in 1587. Plata’s feature-length film, Forgotten Soldiers, has also been awarded the “Power of Film” award—the top prize at the Beloit International Film Festival, and military recognition from Col. Leo Puller, Garrison Commanding Officer at White Sands Missile Range, and Command Sergeant Major Kenneth Adair on behalf of the enlisted soldiers of the New Mexico National Guard. DOCUMENTARY FILM PREMIER "FORGOTTEN SOLDIERS"
Explore the history of the U.S. Army’s Philippine Scouts through the new documentary Forgotten Soldiers. This film will premier at the MacArthur Memorial November 11, 2012. FREE and open to the public but space is limited! RSVP: Call Jim Zobel at 757.441.2965 for details and to reserve a seat. 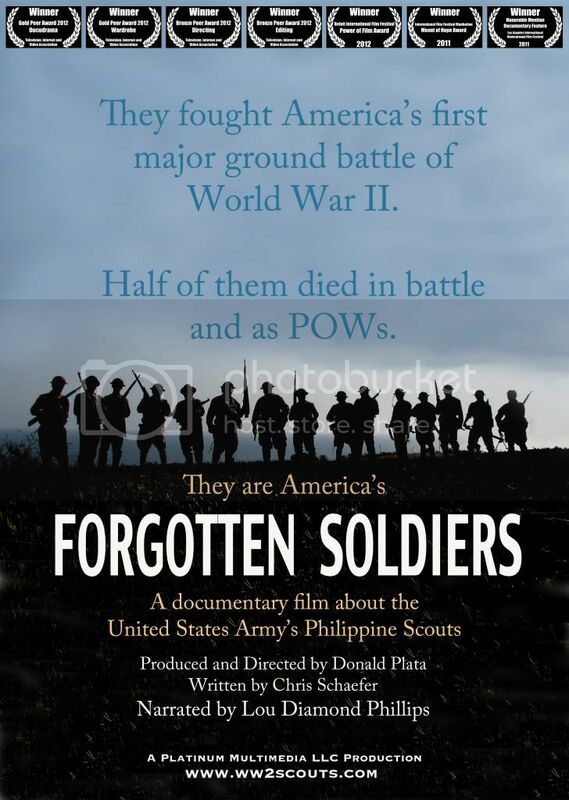 I finally got to see "Forgotten Soldiers" yesterday during the Chicago Fil-Am Film Festival. I also brought my sister, a high school U.S. History teacher, along to see it. We found it to be an epic reminder of the huge sacrifices the Philippine Scouts as well as the U.S. & Philippine forces made during that campaign. After the movie, my sister was shocked that even though these soldiers went through this horrific time, some still returned to fight in the Korean and even Vietnam Wars. That's true dedication to your country. The reenactments were awesome. Definitely recognized some members of this forum! One thing my sister did ask about the reenactments: "So, who were the Scouts? The ones with the Sea Lion patches or the Carabaos?" Of course, "Kuya" was there to explain... And in short, I said, "Both." Personally, I learned and saw a some things I didn't know before and it was great to see the interviews with the Scouts. To hear stories from them was invaluable. Finally, big shout out to VeeVee for letting me know that "Forgotten Soldiers" was playing in my neighborhood! Thanks, Vic! Sean! I'm glad you got to go and you brought along your sister too. Maybe knowing a bit more she'd pick up a copy and read Twilight Riders. The part near the end where a group of aging Scouts were shown doing a Present Arms with garands always puts a lump in my throat. That was from the 2009 reunion. 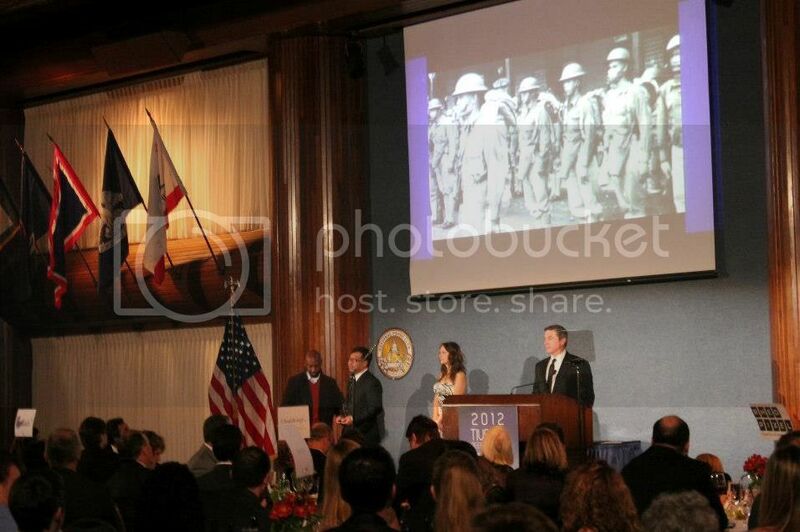 "As I stand for a photo-op after taking an award, clips from Forgotten Soldiers were shown. As if standing behind and supporting me, the almost ghostly image of the soldiers of the 45th Infantry are standing in attention about the same angle that I was." Greetings to All! I just want to share with you our new poster with the official awards won.